The Renaissance Charleston Historic District Hotel is a place that never gets old, no matter how much history surrounds it. Here’s the thing about the historic heart of Charleston: Around every wrought-iron fence, narrow cobblestoned street, soaring steeple or moss-draped oak, there is something charmingly Southern, or stylishly worldly, to discover. And when you step through the doors of the Renaissance® Charleston Historic District Hotel, this uniquely Charleston paradigm unfolds in much the same way. Inspired by the Ansonborough neighborhood, our reimagined guest rooms evoke a personal home-like space, our transformed lobby is a muse for Charleston, showcasing quirky sensibilities and Southern charm. You can also discover all the charm and splendor of Charleston’s famous historic quarter, with help from our knowledgeable and attentive resident Navigator Suzanne. Easier than homemade and tastier than store bought, this cookie boutique is all the rage in Columbus. You can't go wrong with fudge pecan. 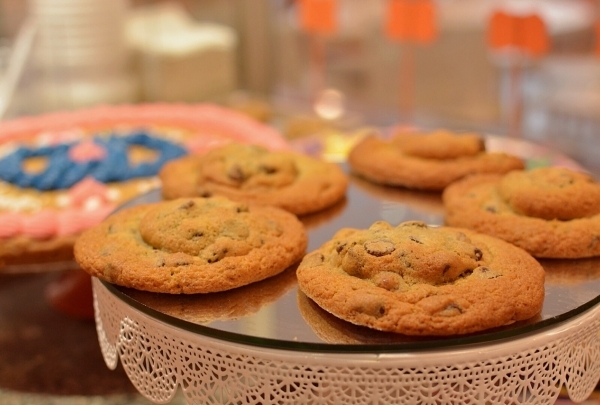 Satisfy your sweet tooth at King Street Cookies. This shop offers a great variety of treats, including some gluten-free options. There are so many flavors to try, you may find you have trouble choosing. Some of the big crowd pleasers include the chocolate chip M&M, peanut butter, Apple Delight, German chocolate, and fudge pecan. If you get a craving at home, don't worry, this cookie shop delivers in the evenings! Pair your cookie with a glass of milk from the milk bar for total bliss. 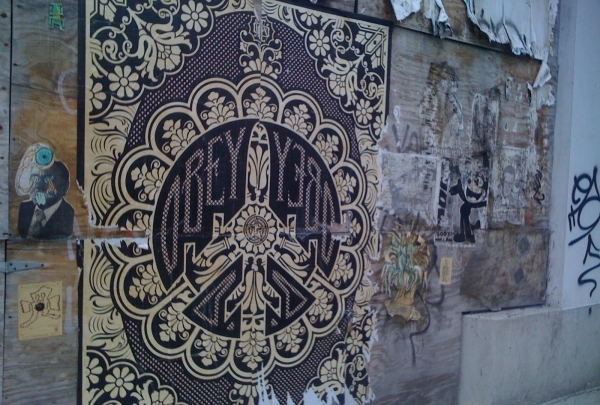 See a dramatic mural by local artist, Shepard Fairey, on the side of a downtown Charleston building. Decorating the wall of the old Tivoli building in downtown Charleston, Power & Glory is just one of numerous murals created by world-famous artist Shepard Fairey to honor the inspiration he gained from his hometown. Designed in his trademark style, incorporating bold lines and propaganda elements overlaid with arabesque natural designs that come and go abruptly, this mural brings a little color to this in-between area of town. 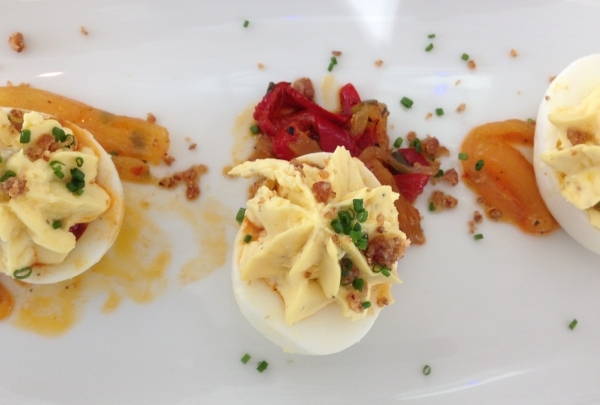 A trendy neighborhood restaurant serving fresh local American cuisine. Park Cafe is one of the first of what will hopefully be many more restaurants in the up-and-coming Hampton Park neighborhood. Featuring local beers and cocktails in addition to creative and playful takes on American classics, Park Cafe features something for everyone in a casual environment. 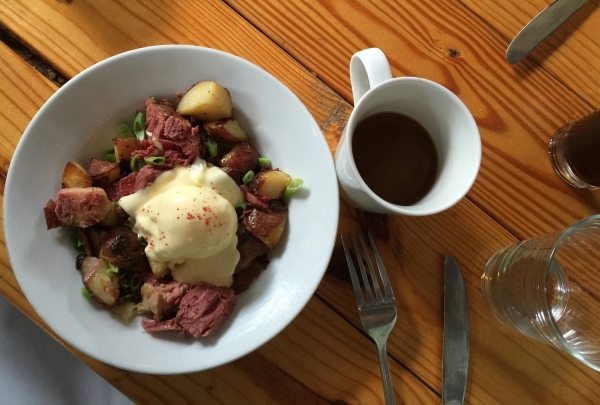 I have been for brunch several times and my favorite dish is consistently the Irish breakfast bowl. A cocktail bar featuring pre-prohibition era cocktails and delicious bar treats. Come see the Charleston RiverDogs play a game of baseball at "The Joe," as this stadium is affectionately known by locals. 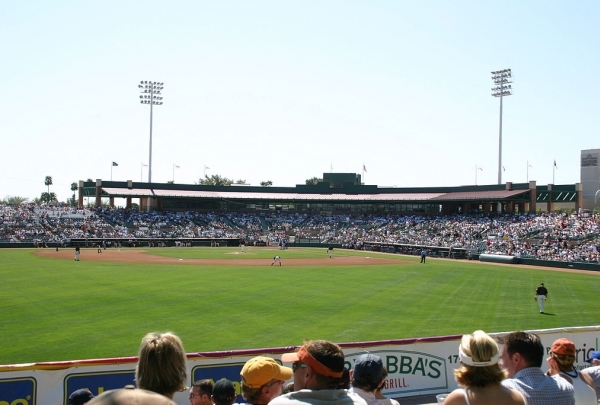 There's nothing quite like a day out at a ball game, and in Charleston, the place to see the action is Joseph P. Riley Jr. Park. This stadium is named after the longest-serving mayor in Charleston's history and is home to the Charleston RiverDogs. It has a seating capacity of 6000, allowing it to host several Southern Conference tournaments over the years. Tucked in a quaint building in Charleston, this French-styled fromagerie boasts of gourmet cheese, baguettes, imported meat and wine. 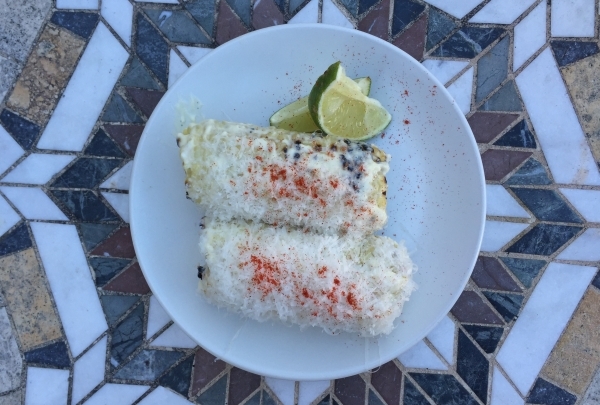 Those cooking for a dinner party should definitely not skip shopping at Goat. Sheep. Cow. This fromagerie is located in a picturesque building with potted plants at the entrance and windows decked with flower pots. 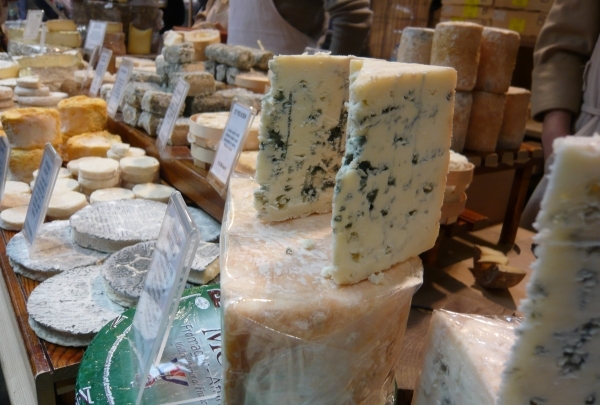 Inside, one can easily get overwhelmed by the racks of gourmet cheese and wine from all over the world. However, the owners guide shoppers to choose the best ingredients that suit their needs. There are meat and cheese platters as well as beautifully-packaged specialty groceries, breads, olives, mustard and nuts. Their wine selection is specially chosen to complement their diverse food items. It is a great place to savor artisan foodstuffs in the company of other gastronomes. A neighborhood grocer featuring locally made and sourced food and cocktails. 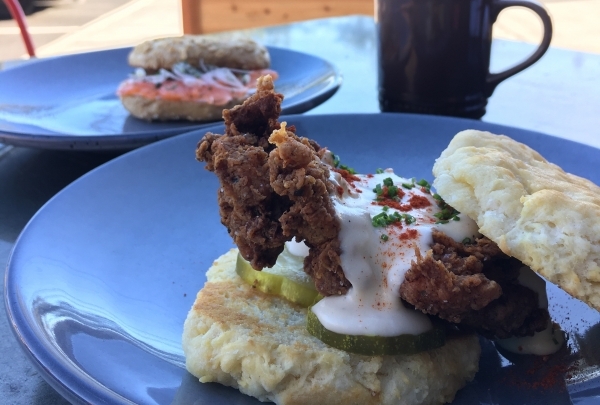 In the up-and-coming Eastside of Charleston, Mercantile & Mash provides the neighborhood with much needed snacks and drinks. Featuring a stellar coffee program, meats butchered and cured in house, handmade pastas, in addition to fresh bread and pastries, Mercantile is consistently turning out good quality products. One of my personal favorite items they serve is their chicken biscuit with gravy. Recounting the dark and grim past of slave trade, this building tells the story of the many African Americans that passed through its walls. Charleston's largest slave collecting and reselling center is now a museum open to the public. 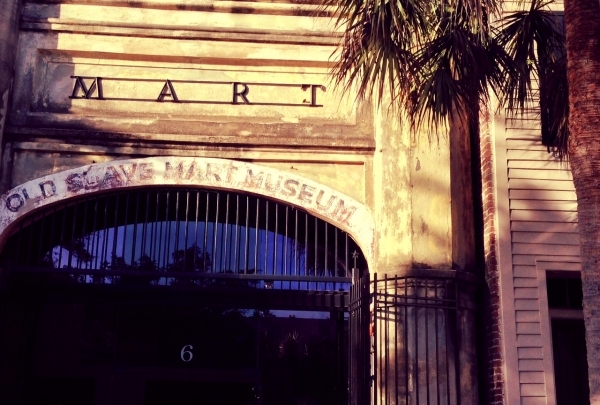 The Old Slave Mart Museum intends to educate and give visitors a detailed overview of the trans-Atlantic slave trade. On July 1st, 1856 Thomas Ryan opened the spot as Ryan's Mart, which operated for eight years. During this time, thousands of enslaved blacks were bought and sold. Documents, recorded accounts, and tools involved in the slave trade are on display throughout the building and work together to tell the story. Add incredible art from this gallery to your home. Be sure to check out their furniture displays too! 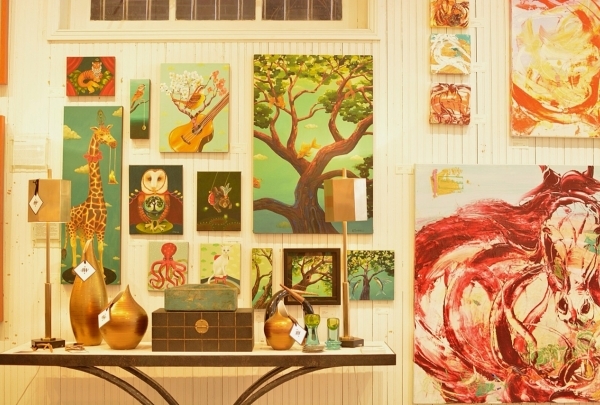 Add an artistic touch to your home by shopping at Michael Mitchell Gallery. More than just an art gallery, you can come here to view their well-curated displays of furniture. The owners, Michael Mitchell and Tyler Hall source their works from Atlanta and New York, making frequent trips to find the best the cities have to offer. Their collection of paintings is vibrant and colorful, so you're bound to find something to suit your taste. Enjoy some southern hospitality and sip on a well made cocktail inspired by the literary genius, Ernest Hemingway. Back when Victor Social Club first opened, only men were allowed in to have a drink and enjoy the sophisticated ambiance. 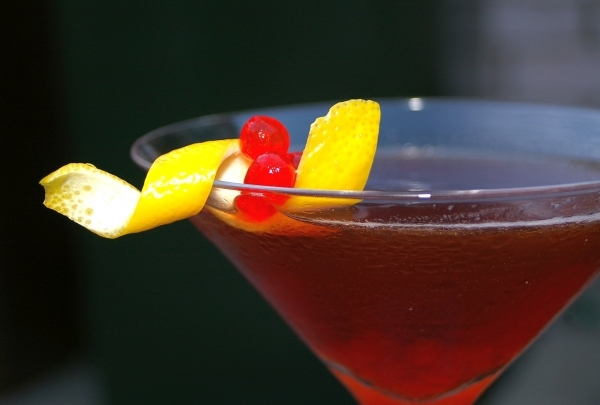 These days, everyone is welcome and their cocktails have only gotten more delicious. Enjoy refreshing beverages like the Red Rum Sangria, A Moveable Feast, and other Ernest Hemingway-themed drinks. Small plates like the peanut better chocolate mousse and clams casino are irresistibly delicious and perfect for sharing with friends. Sip on a saffron martini or a rose soaked watermelon mint cocktail at this steakhouse's swanky rooftop lounge. Rich wooden walls, soft lighting and a classical piano create a sophisticated atmosphere at Burwell's Stone Fire Grill in downtown Charleston. The menu features expertly grilled steaks and local seafood with seasonal offerings and sides of truffle mac and cheese and garlic seared edamame. The rooftop bar dishes out creative and flavorful cocktails and is as popular as the restaurant itself.